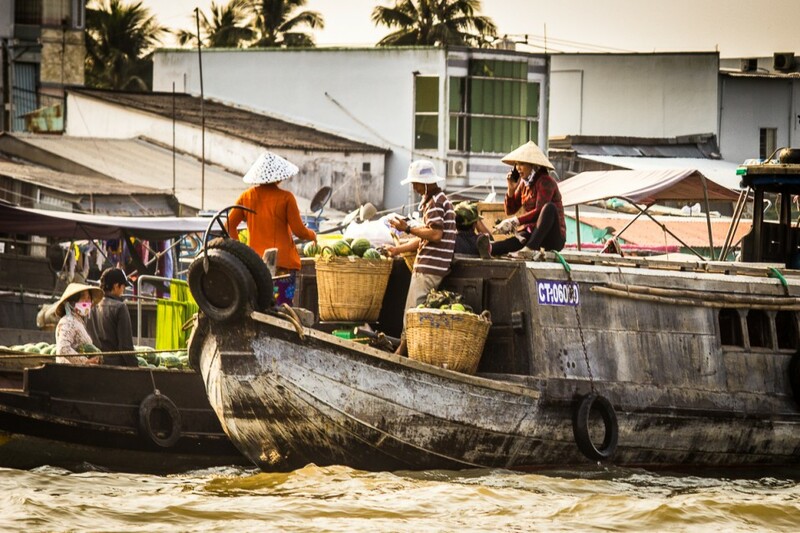 The Mekong Delta with its floating markets has been a lifeline for the people for hundreds of years. It is known as the river of 9 dragons due to the mighty Mekong river is splitting in to 9 distributaries to empty into the sea. The Delta is the agricultural hub of the country, also known as ‘The rice bowl’ of Vietnam. Since the 1990’s the Vietnamese government has started a program of road and bridge building in the Delta, the Floating Markets have noticeably reduced their economic importance. 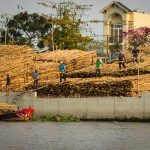 Although these efforts are hugely beneficial for the local people, they may also be the death of the floating markets. Meanwhile, the government has starded to rebuild the markets to keep them alive as an attractive destination for tourism.